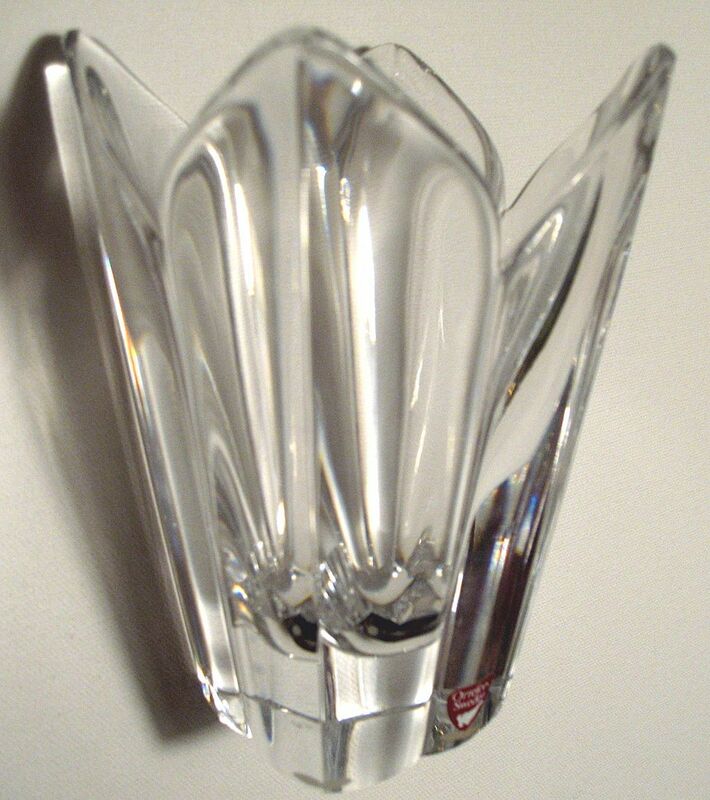 Stunning, vintage, art glass crystal vase by Orrefors of Sweden. The vase resembles a tulip in the design, with four sleek petals. 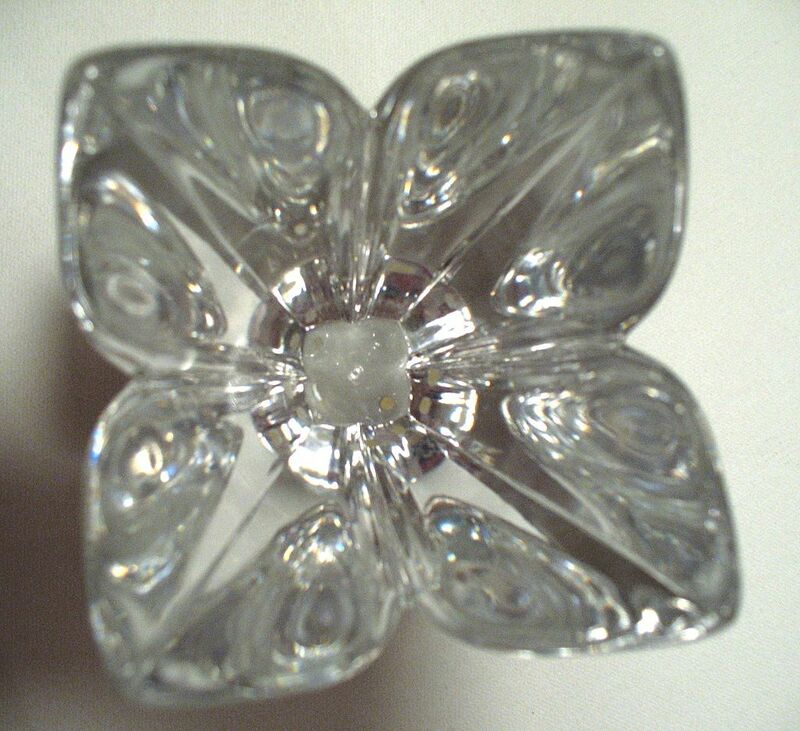 It is made of very heavy glass crystal and stands 5 1/2" tall by 4 1/2" in width. 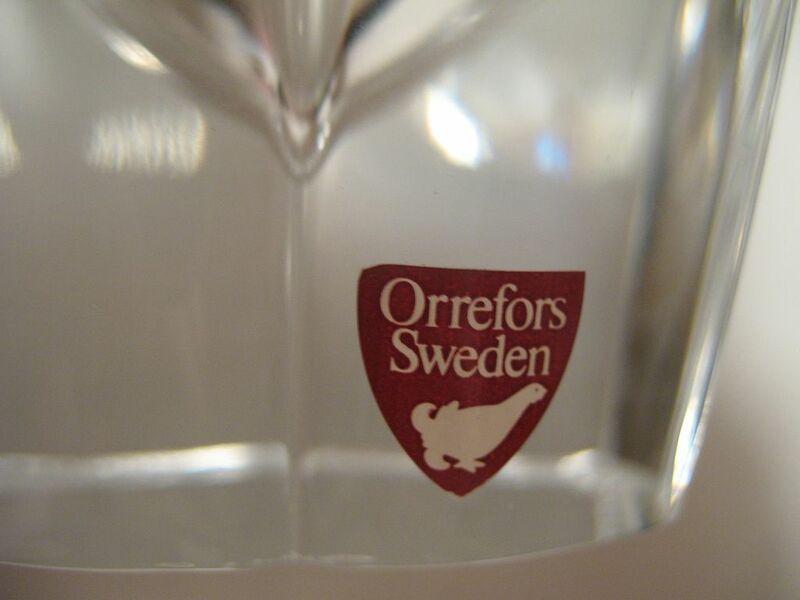 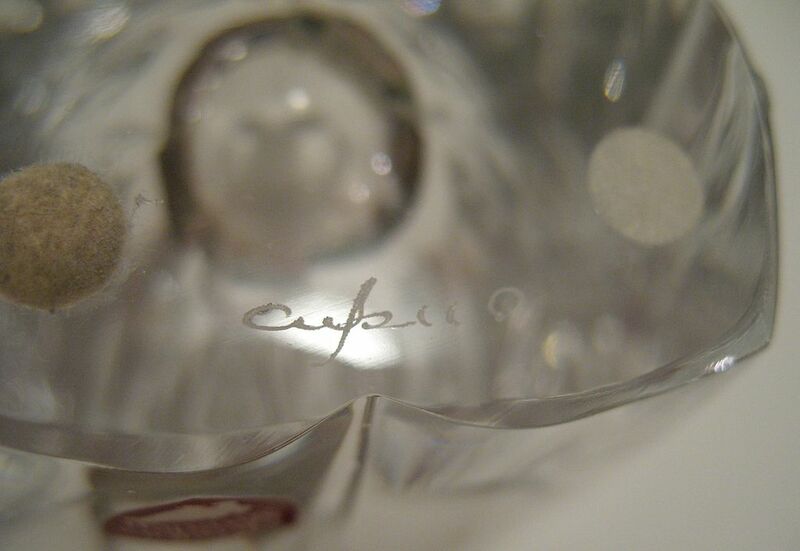 The bottom is incised with the artists name, and it has the original Orrefors Sweden label attached. 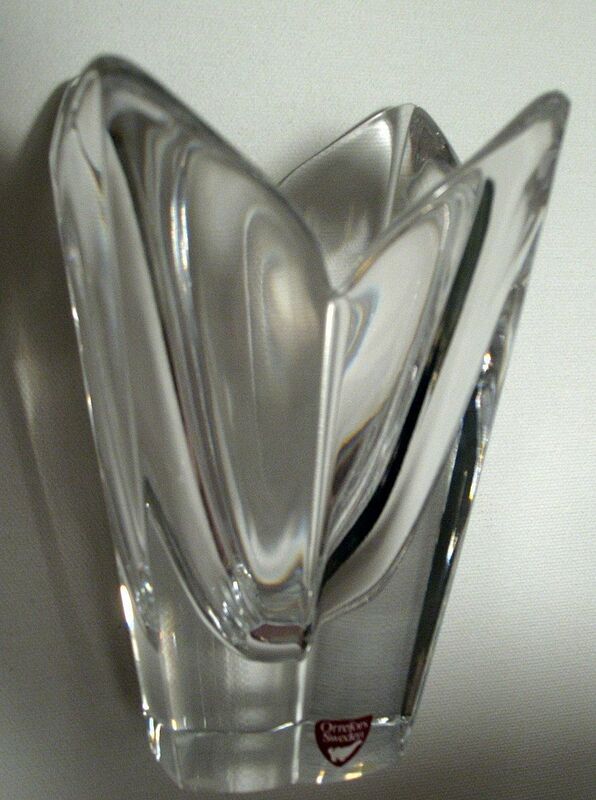 This striking vase is in good condition.